Written by Burns himself in 1787, each entry has been subsequently scored out; this may have been as each was copied into a new, neater copy which itself has not survived. Words which Burns has glossed include ‘kaittly’, which means ‘to tickle’ or ‘ticklish’, ‘kebbuck’ which means ‘a (usually whole, homemade) cheese’ and ‘kelpies’, ‘mischievous Spirits that haunt fords at night’. So why was Burns having to define words in his own native language to an audience of people who were also from Scotland? The inclusion of the glossary is very indicative of the status of Scots language at the end of the 18th century. Since as far back as the Reformation in the mid-16th century, Scots had been subject to a great deal of anglicising influences – for example, English translations of the Bible, the removal of the royal court to London in 1603 and, of course, the Union of the Parliaments between Scotland and England in 1707. All of these influences meant that Scots had undergone a massive change in how it was written and also, we can probably assume, how it was spoken. Some Scottish people even went to elocution-style classes in order to eliminate ‘Scotticisms’ from their speech; Scots was seen as the language of the common people and therefore not fit for the ‘high’ subjects of politics, religion, culture or trade. 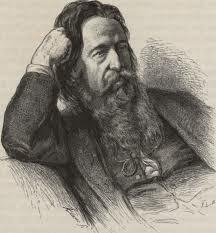 Burns was part of a tradition of writers who bucked this trend and started writing in Scots again. However, his Scottish audience were in need of a little assistance when it came to understanding some of the Scots words he used – hence, the glossary. Of course, Burns had fans out-with Scotland as well: before the 18th century was over, editions of his work had been published in Dublin, Belfast, London and New York. Audiences in each of these places would have needed plenty of help to understand Scots language as well. Burns’s popularisation of Scots took inspiration from writers like Allan Ramsay (father of Allan Ramsay, the painter) and Robert Ferguson (Burns’s ‘elder brother in the muse’). Although the Scots was changed in some ways to make it more intelligible to non-Scots-speaking audiences – for example, inserting apostrophes where English versions of words would have other letters – it did mean speakers of other languages could understand and enjoy Scots literature and language. The sheer stardom of Burns elevated people’s perception of it further, to the point where people across the globe sing ‘Auld Lang Syne’ – a traditional Scottish folk song with words, in Scots – at Hogmanay. Although there is still a long way to go until Scots is back at the same level of recognition it would’ve been at in the early 16th century, campaigns by the Scottish Government and the work of contemporary writers in Scots show its well on its way there. Without Burns, and his predecessors, the Scots language would definitely be in a very different position nowadays. 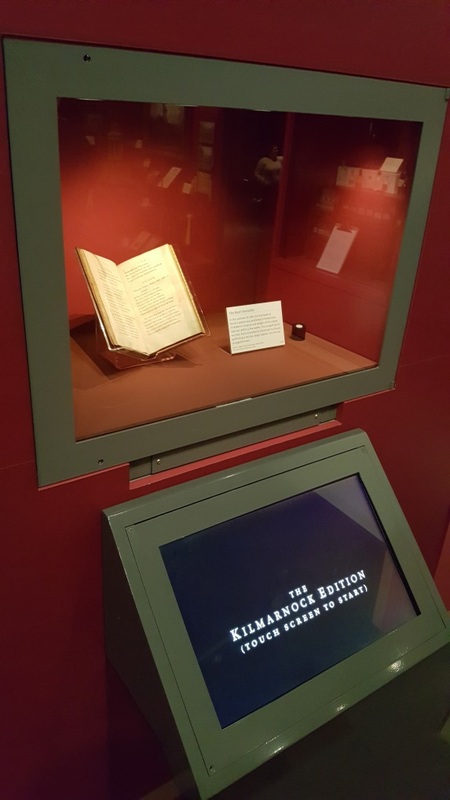 This entry was posted in poetry, Robert Burns and tagged Books, history, Language, learning, literature, Object Focus, Original manuscript, poetry, Politics, Scots, word, Writing. The following blog post was written by Jim Andrews, one of Robert Burns Birthplace Museum’s Visitor Service Assistants. There may be something about dialect poets that attracts a dedicated and loyal following. I have never been a member of a Burns club or society, though I do have several friends who are, and I used to believe that such organisations were uniquely Burns-related phenomena. That is, until I came across the Austrian writer Franz Stelzhamer, remembered today for his poems and songs in the dialect of Upper Austria. He has been called “the Austrian Burns” and, from a heritage point of view, Stelzhamer, like Burns, is very well represented in his country. There is a Stelzhamerbund (Stelzhamer Federation – web address http://www.stelzhamerbund.at), a Stelzhamerhaus (birthplace and museum), a Stelzhamer prize, a play about his life and some statues of him. Like Burns, Stelzhamer was born into a rural family of modest means. However, he was recognised quite early as a particularly gifted child and sent to school in Salzburg. He went on to study law in Graz and Vienna and theology in Linz. He abandoned his studies before qualifying (much to his father’s displeasure) and became instead an actor, writer and journalist. 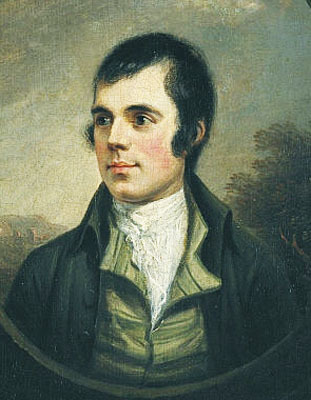 Burns had a breakthrough moment with Poems, Chiefly in the Scottish Dialect: Stelzhamer’s came with Lieder in obderenns’scher Volksmundart (Songs in the Upper-Enns Dialect). He continued as a writer in both standard German and dialect, but it is for his work in dialect that he is now remembered and admired. Although Upper Austria is not an independent nation, it has its own anthem, Hoamatgsang, with words by Stelzhamer in the Upper Austrian dialect, of course. It is a rather curious fact that Stelzhamer translated five of Burns’s works into the Upper Austrian dialect: curious, because Stelzhamer had no knowledge of English or of Scottish dialect. His sources were translations of Burns in standard literary German. I have always thought that Burns’s poems and songs are very comfortably accommodated in German: it seems to be able to preserve the natural rhythms of the original works. I think that even a non-German-speaker with some knowledge of Burns could easily identify the original work from the following lines: Mein Herz ist im Hochland, Mein Herz is nicht hier… But just in case, they are, of course, the first lines of My Heart’s in the Highlands. Ne’er fail in old Scotland! It is a reasonably fair translation of a translation, but there is an interesting discrepancy in the last line. The very last word, Obröstareich, is the dialect form of the standard German word Oberösterreich. It is not old Scotland, as in the original, or even Altschottland (old Scotland), as in Georg Pertz’s version: Oberösterreich is Upper Austria. Moreover, at the beginning, the three kings in Burns’s original and Pertz’s translation are replaced with three simple Austrian farmers. Perhaps not just translated: could we say “hijacked”? To be fair, Stelzhamer did acknowledge Burns as the original author. Burns would probably have approved of being translated into a German dialect rather than into the standard literary language, and perhaps even of some creative tweeking to bring the narrative closer to the intended readership. This entry was posted in Robert Burns and tagged Alloway, Austria, Austrian, Ayr, Ayrshire, Dialect, Dialect poets, Franz Stelzhamer, history, John Barleycorn, Language, learning, literature, museum, National Trust for Scotland, poetry, Robert Burns, Robert Burns Birthplace Museum, Scotland, Scots, Translations.